You are a creator, whether you acknowledge it or not. What do you create? Your very own-customized-made-to-order version of reality. But what if your view is filtered by stories from your past that cast a different meaning on the events before you? Would that create a conflict with another person who saw the same thing? Of course! It happens all the time. Most people work through their differences but there may be lingering anger, frustration or regret that surfaces at a later time. Wouldn’t it be nice to be at peace in every moment, knowing that what seems to be happening to you is actually the best thing possible? To be happy with yourself no matter what was going on in your life, because you know that you are worthy? That as you travel down your life’s path, to know that All is Good? I kn ow a wonderful young woman who lives just that way – happy, peaceful and full of love. 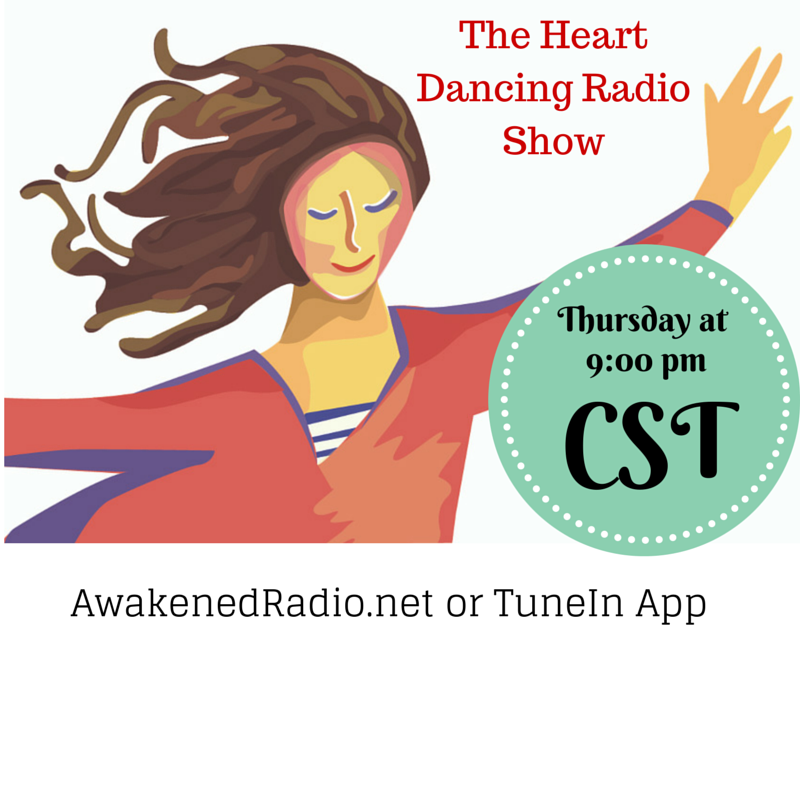 Jenny Grace will share her life philosophy on the Heart Dancing Radio Show, Thursday, January 22, 2015 at 9:00 p.m. cst. Listen live at http://www.AwakenedRadio.net or on the TuneIn app on your tablet or smartphone. Please join us as we discuss life, love and building sand castles! 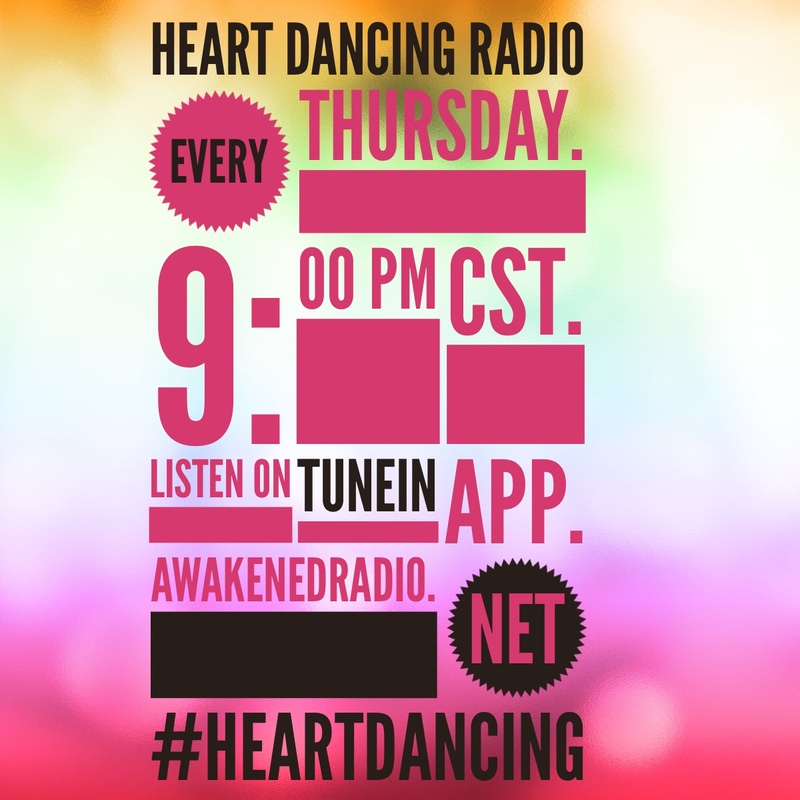 I am going to host my very own radio show – about Heart Dancing! I am still so giddy with excitement that I can’t stand it (so if I use too many exclamation marks in this post, will you forgive me?)! Please join me for the inaugural show, 12.11.14. Why don’t you share this infographic across your Social Media channels, using #HeartDancing?